After the peace agreement between the Colombian government and the FARC, the process of disarmament was successfully completed in summer of 2017. Major challenges regarding the reintegration process of former combatants are ahead that could reverse the successful implementation of the accords. Disarming and reintegrating rebel groups is a key step towards overcoming civil war. After 52 years of armed conflict with the leftist Revolutionary Armed Forces of Colombia (FARC) and more than 200,000 dead, the Colombian government signed a peace agreement in November 2016 after four long years of negotiations. On over 300 pages in the accord, the ceasefire and Disarmament, Demobilization and Reintegration (DDR) process is outlined in detail to allow for a more peaceful Colombia. In January 2017, the disarmament process started and almost 7,000 former FARC fighters moved to 26 transitory zones across the country. While the deadline to complete the process within 180 days was not met, demobilized combatants handed in some 9,000 weapons and three quarters of arms caches have been cleared. Importantly, the process has been monitored by the UN Mission in Colombia to create trust on both sides. This civilian mission has not only the responsibility to verify the DDR process but also to control the bilateral ceasefire between the two sides that both sides adhered to with only a few minor instances. In August 2017, the transitory zones where FARC fighters demobilized have been transformed to special zones for reintegration. The former combatants go through a reintegration process. Colombia already has a lot of experience with individual reintegration, thanks to very well administered programs by the Colombian Reintegration Agency (ACR). Its challenging work was hardly noticed by the public, yet ACR has been able to complete reintegration of more than 15,000 former combatants according to the government’s reintegration scheme since its creation in 2011 and has followed the UN guidelines with its holistic approach to reintegration (including for example socio-economic and psychological issues). In June 2017, President Santos declared to remodel ACR into the Reincorporation and Normalization Agency (ARN), following the demand of the FARC to distinguish their DDR process from the one of right-wing paramilitary groups and to stress to FARC supporters that it is the FARC’s decision to reincorporate and be part of society without being militarily defeated. ARN will have a huge task ahead. In institutional terms, the new body has just become part of FARC’s DDR process and needs to establish its presence in the reintegration zones. With a very limited educational background, former FARC combatants have low prospects on the job market. Finding employment for them is not easy considering that the majority never attended school. Another major concern of FARC members is their own physical security and the security of their families, having in mind the massacres against FARC members and supporters in an attempt to take part in political life back in the second half of the 1980s. In terms of gender, many female ex-combatants are now bearing children (after a very strict policy of not being allowed to do so), there is even talk of a baby boom, that could either help to convince their partners to remain in civilian life or rather push them to illegality to make a living. Finally, it is politics that the FARC is now also engaging in. Officially being transformed to a political party on 1 September 2017, it was the leftist wing under FARC leader Iván Márquez that won against the line of Timoshenko, leader of the pragmatic faction, to keep the initials ‘FARC’ that now stand for ‘Common Alternative Revolutionary Force’. Prospects for many votes in the 2018 parliamentarian elections appear to be limited to a few zones where the FARC has a certain popularity. Importantly for the former rebel group, the peace agreement promised them five seats in each of the two houses of parliament. Most FARC members seem to be in line with the leadership of engaging in democratic politics. However, some ex-combatants question the reintegration process, arguing that the Colombian state does not comply with the DDR process while they are being offered lots of money from illegal armed groups. There are already news reports claiming that several dozens of demobilized fighters left the transitory zones to join other illegal armed groups. Another issue is that the civilian population continues to suffer under displacement, as well as intimidation and assassinations of social leaders as the Colombian NGO Indepaz pointed out in its recent report. And then there is the question of funding: Colombia’s budget is tight due to the low oil price and U.S. President Trump has proposed to severely cut the financial support for the peace process. Several deadlines of the process have not been met, promises to demobilized FARC fighters have not been kept regarding the conditions in the transitory zones and many Colombians remain suspicious of the process. The disarmament and demobilization process took place without major incidents and that is a success in itself. However, the road to reintegration during the next years will be difficult and the presidential elections in 2018 could undermine the reintegration process if an adversary of the peace process is elected. Also, if the peace negotiation with the second biggest guerrilla group ELN succeed and other illegal armed groups will join as well, ARN will have an even more demanding task to fulfil. The day before the attack was a Friday, the first day of the Afghan ‘weekend’ and Kabul was very calm. There are always reports of security incidents but most of these are very far away from the capital or at least from the heart of the city. Late in the afternoon, I had a very positive meeting with the Commander of the Resolute Support Mission, in which we spoke about the security situation but also about the many positive developments in Afghanistan over the past years, such as the increase of interaction between civil society and the state, with more citizens now demanding good governance and access to their basic rights. My visit to Afghanistan had almost come to an end, and knowing there was no opportunity to leave the guesthouse the day after, as the protests of the Hazara minority had already been announced a week earlier, I quickly went shopping for presents in Chicken Street. I have been coming to this famous shopping area for eleven years now and the intensive bargaining (followed by still paying too much of course) has almost become routine. I know the shops and I know where I can quickly buy what I need. With a bag with some lapis lazuli stones, some jewelry, a nicely carved wooden box and a present for an Afghan colleague who managed to arrange my working permit in no time, I went back to the Oxfam guesthouse. The next day, Saturday, starts with the normal routine. As our Afghan colleagues have their second day off, I can stay at the guesthouse, go to the gym and have a bit more time than usual for breakfast. I meet with a few work colleagues and we talk about the protests of the Hazara ethnic minority who are demanding that Bamyan province is connected to the planned electricity transmission line. While at first glance the Hazara protests are about the provision of basic services, they are at least partly motivated by broader perceptions of systematic bias against the Hazaras. According to the first news reports, the protests are peaceful and no serious incidents are reported. The international news on TV is still dominated by the shooting in Munich and the government crackdown in Turkey. My colleagues are joking that I will be stuck in Afghanistan as my flight back through Istanbul will surely be cancelled in these circumstances. A few hours later, Kabul is in turmoil. The suicide attack occurs in the south-western part of the city. I am in Qala-e-Fatullah, two police districts to the north. I don´t hear the blasts but a moment later there is some shooting going on in my neighborhood, apparently nothing serious but some panicking local people or tense security forces. Even here in Kabul people still get upset when such attacks happen, especially because we did not witness an attack of this scale since December 2011 when 63 (also mostly Hazaras) died in an attack on a Shia shrine. The worst part is that this attack was targeted at civilians. In contrast, while many civilians also die in Taliban attacks, the Taliban usually target a specific government or international institution. My colleagues and I are quite shocked and watching the images of the attacks on television somehow makes it difficult to grasp that this is actually happening in the same city. At least we hear that all Afghan colleagues are safe and accounted for. At two o’clock at night, there is some further shooting in the area of the guesthouse but for the rest everything is calm. On Sunday, the first working day of the week, most Afghan people have the day off because President Ghani has declared a national day of mourning. While I drive around Kabul in the morning, it am astonished how quickly a city can return to normal. People go about their business and it is almost as if the terrorist attack never happened. Some roads are still blocked and the Hazara community is torn between continuing their demonstrations (forbidden during the day of mourning) and calls to turn this horrific event into a nation-wide act of solidarity with the 91 people who died and the 265 who were wounded. There is no silver lining to this tragedy. It is terrorism at its worst: cowardly striking fear into the political heart of a country where many people are working firmly towards putting an end to poverty, instability and to at least 38 years of conflict. Islamic State has claimed responsibility, which makes this their first attack in Kabul or in an urban centre for that matter. It is not clear whether the predominantly Sunni terrorist organisation was deliberately targeting Shia Hazaras, whether it was retaliation against the substantial military offensive against Islamic State that started the week before, or whether they would have exploited any big gathering in Kabul on this day. Some fear this may be the beginning of a bigger presence of the terrorist group in Afghanistan which so far has been mainly confined to the eastern province of Nangarhar. Islamic State in Khorasan Province (ISKP), as they are officially called in Afghanistan, consists mainly of former members of the Pakistani Taliban (Tehreek-e-Taliban Pakistan) and fighters of the Islamic Movement of Uzbekistan (IMU). For the moment, however, the ongoing military offensive against ISKP seems to be quite successful in eastern Afghanistan, and they also face strong resistance from the Afghan Taliban. I have a little bit of hope, therefore, that this ruthless attack might somehow play a part in putting the peace process between the Afghan government and the Taliban back on track. The fact that the Taliban quickly denied any responsibility for this suicide attack could maybe represent a tiny stepping stone towards peace in Afghanistan. For me personally this attack will not stop me from returning to Afghanistan. My next trip is already planned and in my current support role I will be assisting Afghan colleagues and project teams until at least March 2017. Over the years, I have experienced quite a lot of tension and turmoil in Afghanistan but this will never weigh up against all the beautiful things I have seen in this country and all the wonderful interactions I have had with Afghan people since 2005. Alexander Sodiqov, a PhD student at the University of Toronto was arrested while conducting interviews in Tajikistan for a project on Emerging Power Conflict Management run by John Heathershaw (University of Exeter, United Kingdom). Even though the Canadian Political Science Association is adopting and implementing other institutional measures of support, our priority today is to provide our members with all the available information about our fellow academic researcher Alexander Sodiqov’s detention and encourage them to forward the following links to all their networks. For more information please contact Edward Schatz, Chair, Political Science, University of Toronto Mississauga (Alexander’s supervisor) at ed.schatz@utoronto.ca. Do you research security sector reform, especially prisons and police, in developing, post-conflict and transitional country settings? Would you be interested in meeting and working alongside Brazilian colleagues doing the same, to share ideas, methodologies and comparative analysis? Under the Researcher Links scheme funded by the British Council and São Paulo State Research Council we will be holding a two-day workshop on the above theme in São Paulo on 13-14 March 2014. The workshop’s focus is on career development, international collaboration, network building and peer mentoring. The workshop is being coordinated by Dr Fiona Macaulay of the University of Bradford Peace Studies Department and Dr Renato Lima, of the Brazilian Forum on Public Security, and will have contributions from other leading researchers – Professor Alice Hills of the University of Durham, and Professor Roy King, Emeritus Professor, University of Bangor from the UK, and Dr Fernando Salla, from the Centre for the Study of Violence, University of Sao Paulo, and Dr Túlio Kahn, UNDP consultant and former Chief executive of the Latin American Institute on Crime (ILANUD). We are now inviting Early Career Researchers from the UK and Brazil to apply to attend this workshop. All travel and accommodation expenses will be covered by the Researcher Links programme. The application form, with more details on the initiative, can be found here and should be sent to Dr Macaulay at f.macaulay@bradford.ac.uk before the deadline of 1 December 2013. 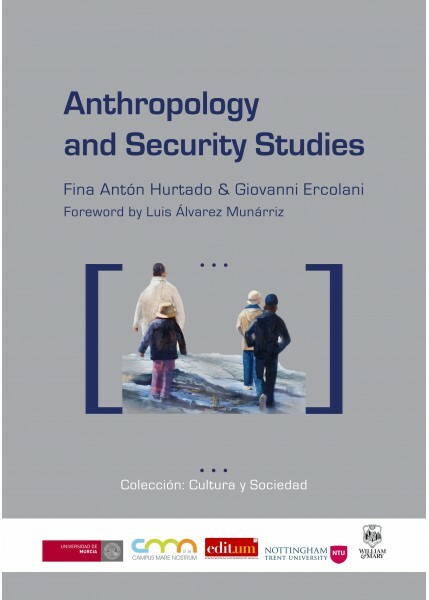 Security sector reform (SSR) focuses academic and policy-oriented research on how transitional/democratizing states manage public security, rule of law, human rights compliance, and crime. It encompasses discrete research areas, into police, judiciaries, armed forces, transitional justice, and penal practices. Brazil has developed the densest epistemic and policy community on domestic SSR issues in Latin America, due its size and the challenges of reforming its police forces, prison system (the fourth largest globally) and courts. Although its senior members collaborate in some comparative research networks, adapting and adopting methods and best practice policies from some other regions (Latin America, Europe, North America) for application to Brazilian problems, Brazilian researchers do not frame their research as SSR (seen as a foreign policy enterprise of the global north) or conduct research beyond Brazil. Yet, as an emerging, global power, Brazil is involved in peacekeeping (Haiti), South-South practices of technical assistance to developing regions (Africa), and norm development in the international system. Brazilian researchers would benefit from exposure to comparative work in other post-conflict/transitional regions on which British researchers tend to focus (Middle East, post-Communist countries, Sub-Saharan Africa) due to geographical proximity, colonial ties, UK engagement in military conflicts, and language issues. Post-conflict states are seen as receivers, not generators of SSR technologies that are developed in the global north, yet have mixed results when ‘exported’. However, Brazil and other stable, middle-income Latin American states offer valuable lessons in endogenous, novel or hybridized SSR models. This workshop brings together Brazilian and UK researchers working on SSR from different disciplines and regions to widen the comparative horizons of both. It focuses especially on the penal system, as a relatively under-researched area in Brazil (prisons are currently a major source of domestic insecurity) and the UK (domestic criminology’s output on prisons remains unconnected to SSR debates). The Institute for Democracy (http://www.institutocne.gob.ec) is a research centre specialised in election studies and attached to the National Electoral Council (CNE) of Ecuador. In the framework of analyses of comparative electoral systems, national and sub-national elections, electronic voting, and direct democracy, we are seeking two (2) Post-Doctoral researchers. The appointment will begin on February 1st, 2014 or upon agreement. The Institute for Democracy is a public institution attached to the National Electoral Council of Ecuador (CNE). The institute is involved in the triple function of scientific research, training and technical assistance to electoral public servants and political parties, and the service to the community in the area of empowerment, political and civil rights, and citizenship. Quantitative analysis of the 2014 sub-national elections with special emphasis on variables such as gender parity, panachage, district magnitude and proportionality. Comparative analysis of the 2014 electronic voting pilot projects in Ecuador with special emphasis on electoral turnout, security, transparency and efficiency. Quantitative and qualitative analysis of local institutions with special emphasis on local governance, local governability and direct democracy. Candidates should be interested in comparative electoral and democracy studies and have a very good knowledge of quantitative methods. They must have completed a PhD in political science, statistics or related fields including communication science and sociology. Candidates need to be fluent in English. The knowledge of Spanish is an asset. The selected Post-Doctoral researchers will participate to the different scientific activities of the Institute for Democracy (publications, conferences, etc.). The work location is the Institute for Democracy in Quito, Ecuador. The selected candidates will be part of the Prometo Program and the salary is determined according to the Senescyt pay scale (4.320 USD/month) plus benefits (health care, travels, housing, etc.). The position is limited to one year. Feel free to contact Felipe Cisneros (felipecisneros@cne.gob.ec) for further information. The deadline for applications is November 15, 2013 or until the position is filled. (6) Anthropology and Conflicts, Marco Ramazzotti; Conclusions: A New Grammar for International Relations in a New World Order, Maurizio Boni.